We have 30 stalls confirmed for which is promising to be a great revival of this popular fair in a vibrant area of London. ENTRY IS FREE and Amnesty International’s cafe will be serving vegan and vegetarian snacks. Come along and help raise awareness and funds and bring your friends and family too. The following stalls are confirmed and there may be a couple more to come. 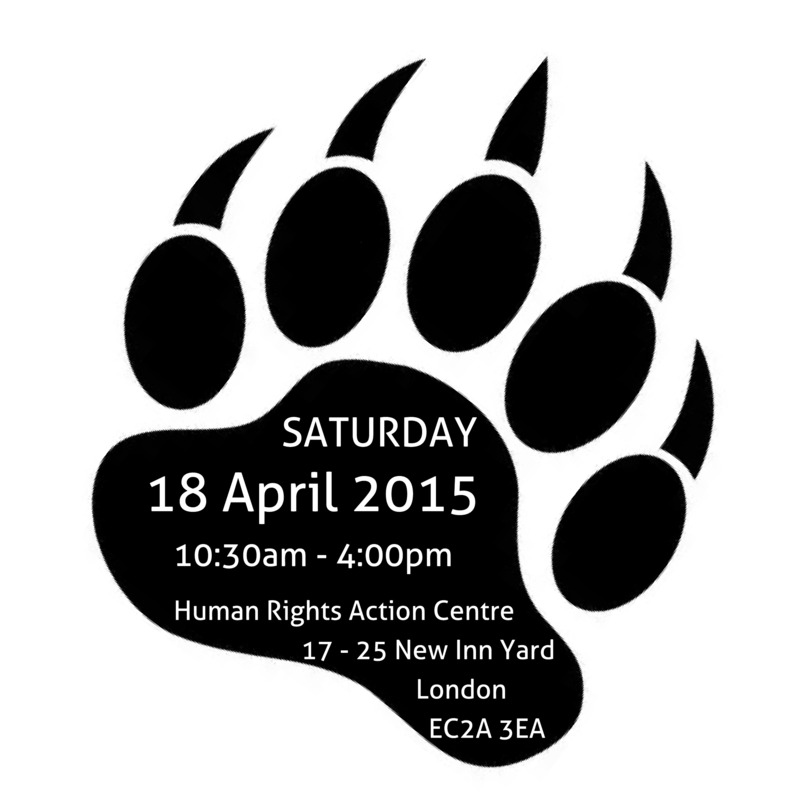 And we will obviously have our Animals Asia stall and teddy bear tombola. We hope to see many of you there to support the amazing work all these organisation are doing. This entry was posted on Friday, March 27th, 2015 at 2:02 pm	and tagged with All Dogs Matter, Animal Aid, Animal Equality, Animal Interfaith Alliance, Animal Welfare Party, Animals Asia, Captive Animals Protection Society, Compassion in World Farming, Cruelty Free International, DDA Watch, Doris Banham Dog Rescue, F.R.I.E.N.D. Animal Rescue, Greek Animal Rescue, Harper Asprey Wildlife, Help in Suffering (UK), Hillside Animal Sanctuary, Hounds First Sighthound Rescue, Hugletts Wood Farm Animal Sanctuary, London Animal Charities Fair, London League Against Cruel Sports, Lovesniffys, Nowzad Dogs, RSCPA, RSPB, Save Me, Sea Shepherd UK, SPEC Stop Puppy Farming, The David Sheldrick Wildlife Trust, The Mayhew Animal Home, The Pig Issue Foundation, Wild Futures, Wood Green Animal Charity and posted in London events. You can follow any responses to this entry through the RSS 2.0 feed.